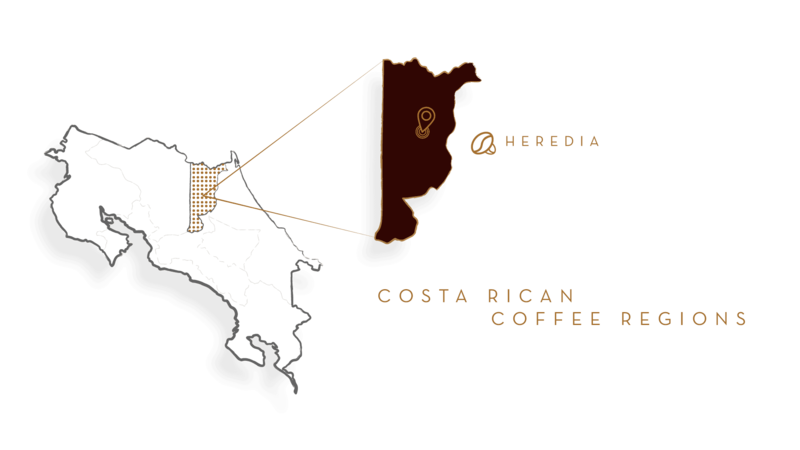 Heredia is home to some of Costa Rica’s most famous coffee plantations. Temperatures in the province vary from warm and humid in the north to cool in mountainous areas, and the capital is even known as the City of Flowers because of its lush vegetation. This delicious coffee, with its floral flavor and a well-balanced cup, is a perfect example of what makes Heredia the home of the "grano de oro," or golden bean.